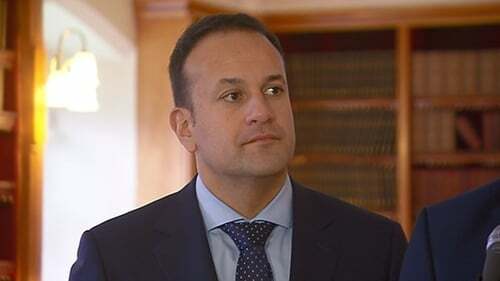 A commitment by the Taoiseach that the long awaited M20 motorway connecting Limerick and Cork will be a priority in the Government's capital plan has been welcomed in Limerick. The plan, projected to cost over €800 million, would drastically reduce the travel time over the 100 kilometres between the two big cities in Munster, and is described as one of the biggest infrastructure projects of its kind for many years in Ireland. It is due to be built by 2023 and a commitment has now been given to fund the planning and design stages of the motorway, after which route selection, and land purchase could proceed. The commitment was made by Taoiseach Leo Varadkar at a breakfast briefing event in Cork this morning. Fine Gael Senator Kieron O'Donnell said the construction of the motorway would be a game changer in the region connecting as it will the two big cities in Munster outside Dublin. He said the people and businesses of the region had been waiting too long for the motorway and he was pleased to hear the Taoiseach say today that funding is no longer a barrier to it. His colleague Senator Maria Byrne said it was a crucial piece of infrastructure and it is important that the two largest cities outside Dublin are connected by motorway. The construction of the motorway which was stalled in 2011 because of the economic downturn, could reduce the travel time between Cork and Limerick to less than an hour, and would eventually link with a motorway corridor leading all the way to Sligo in the north west. Dr James Ring, Limerick Chamber CEO, said: "This is one of the most significant moments in terms of rebalancing the national economy. This now means we will have a seamless motorway from Cork to Limerick and Galway, which creates enormous possibilities for economic development along this Atlantic corridor." Conor Healy, Cork Chamber CEO, added: "The socio-economic report commissioned by Cork and Limerick Chambers earlier this year confirmed that the M20 has the potential to support up to 5,400 new direct jobs in the region, which would benefit the Exchequer by up to €128m per annum. "The M20 will be of huge benefit to our country overall, and in light of its importance we look forward to seeing Ireland's newest motorway delivered as soon as possible."